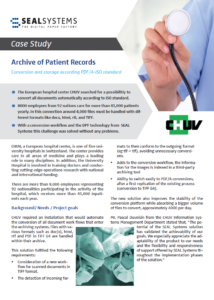 The European hospital center CHUV searched for a possibilitiy to convert all documents automatically according to ISO standard. 8000 employees from 92 nations care for more than 41,000 patients yearly. In this connection around 4,000 files must be handled with different formats like docx, html, rtl, and TIFF. With a conversion workflow and the DPF technology from SEAL Systems this challenge was solved without any problems. Learn more in our case study! Do you have any questions? 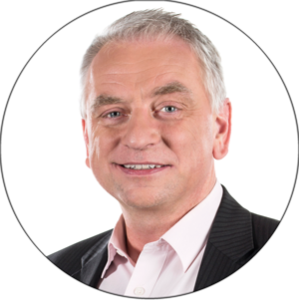 – We’ll gladly get in contact with you!